There are many types and style of land home packages for sale in Asheville NC. 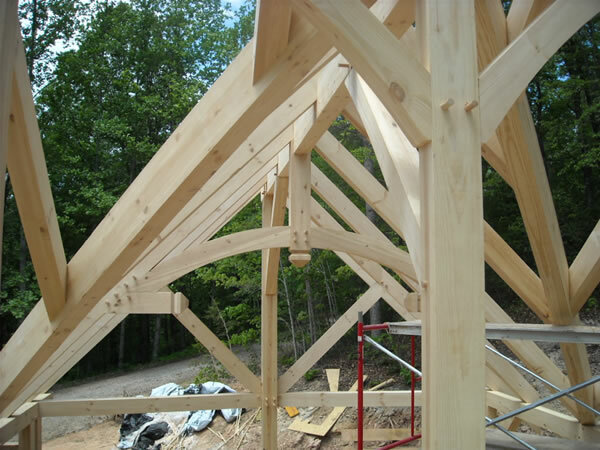 Asheville area land, lots and parcels are available for those wanting a special design build package for that new home. Call Green Mountain Realty today at 828.215.9064 for land home packages, luxury homes, condos or real estate in Asheville. I have a question about the property at 1224 Rockcrest Way Arden NC 28704 (#NCM585927). I would like to schedule a visit for the property at 1224 Rockcrest Way Arden NC 28704 (#NCM585927). Luxury in the Carolina Mountains. The Cliffs at Walnut Cove is a private, gated community featuring luxury amenities: an award winning Jack Nicklaus golf course, an impressive Wellness Center with pools & Clubhouse with Membership options. The Cliffs is close to Pisgah National Forest, the Blue Ridge Parkway & minutes from Downtown Asheville. This Elegant Old World European Styled Home is a gem featuring spacious rooms with soaring ceilings, mountain views from all rooms, & covered decks & terraces with fireplaces. Quality Construction by Heatherly Construction is evident from the chef's kitchen with Viking appliances, Subzero refrigerator & 30 bottle wine fridge. The Master Suite Wing has a sitting area with fireplace, spa-like bath & dressing room. Convenient elevator services home. Lower level offers more mountain views, a relaxing family room with fireplace opens to covered terrace, theater room, hidden wine cellar & tasting room & kitchenette in addition to en-suite bedrooms. I have a question about the property at 47 Ridge Pine Trail Arden NC 28704 (#3477161). I would like to schedule a visit for the property at 47 Ridge Pine Trail Arden NC 28704 (#3477161). One of the finest homes in Walnut Cove! This home at the end of a quiet drive has it all. . . long range views, old world European architectural design, and the best of all appointments. Located steps from the national forest. Close to Biltmore Park, the Blue Ridge Parkway, and a short drive to downtown Asheville. I have a question about the property at 22 Rock Vista Way Arden NC 28704 (#3491674). I would like to schedule a visit for the property at 22 Rock Vista Way Arden NC 28704 (#3491674). Step inside this stunning Al Platt designed home and you immediately feel the quality of the Glennwood construction. No expense was spared in this home that connects the residents to the outdoors with 1,976 square feet of covered outdoor living area including 426 square feet of screened outdoor living area to enjoy the amazing long-range views overlooking the 12th green of the Jack Nicklaus signature golf course. A rare find in the mountains includes a huge circular driveway with generous parking and a gentle approach, a Life Pine Roof with a 50 year warranty, and a beautifully landscaped lot with space to use and walk around. I have a question about the property at 1947 White Tree Trail Arden NC 28704 (#3474068). I would like to schedule a visit for the property at 1947 White Tree Trail Arden NC 28704 (#3474068). In an era of astronomical building costs you owe it to yourself to experience this home constructed in 2011 to the very highest standards of quality and detail and ready for you TODAY! Every conceivable amenity including a magnificent view, outdoor fireplace and kitchen, 2500 bottle wine cellar, highly detailed library and great room, furniture quality cabinetry, his and her's studies, entertainment area with 13' bar, elevator, Viking appliances, heated bathroom floors, sonos entertainment system, 9 TVs including 100" drop down, all in a gated resort style community with spa level fitness center, tennis, trails and Nicklaus Signature course. I have a question about the property at 679 Walnut Valley Parkway Arden NC 28704 (#3458740). I would like to schedule a visit for the property at 679 Walnut Valley Parkway Arden NC 28704 (#3458740). I have a question about the property at 2016 Song Breeze Trail Arden NC 28704 (#3483485). I would like to schedule a visit for the property at 2016 Song Breeze Trail Arden NC 28704 (#3483485). Light-filled luxury mountain home - unparalleled craftsmanship and quality with 12' ceilings, graceful arches, granite and neutral color throughout. Perfect for entertaining - inside and out with open floor plan, spacious rooms and front and back terraces. Gourmet kitchen for home cooking or catering - Wolf range & ovens, Subzero refrigerator & freezer, 2 dishwashers, 2 farm sinks. Expansive main floor master suite with large custom closet and separate washer/dryer closet. Media room. Suite over 3 car garage has separate entrance - perfect for office/studio. Shade garden leads to hot tub, spa room, and stone firepit. Water features, slate roof, copper gutters. Located near gate exit for quickest access to Biltmore Park, AVL and Hendersonville. Membership available so you can enjoy all Cliffs Living offers - gated golf and wellness community with many amenities: farm/CSA program, wellness programs, hiking, wine club and more. This house can't be built for this price. I have a question about the property at 204 Secluded Hills Lane Arden NC 28704 (#3313021). I would like to schedule a visit for the property at 204 Secluded Hills Lane Arden NC 28704 (#3313021). I have a question about the property at 806 Blackthorne Lane Arden NC 28704 (#3418126). I would like to schedule a visit for the property at 806 Blackthorne Lane Arden NC 28704 (#3418126).